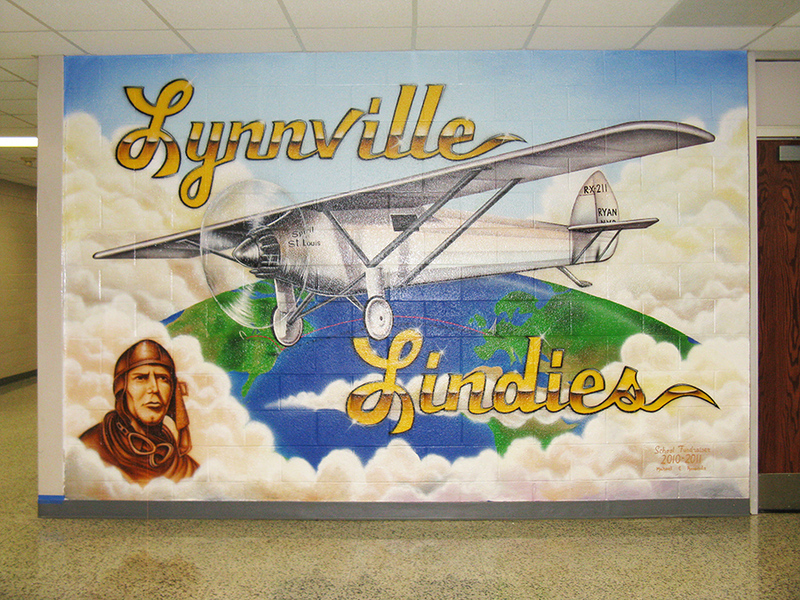 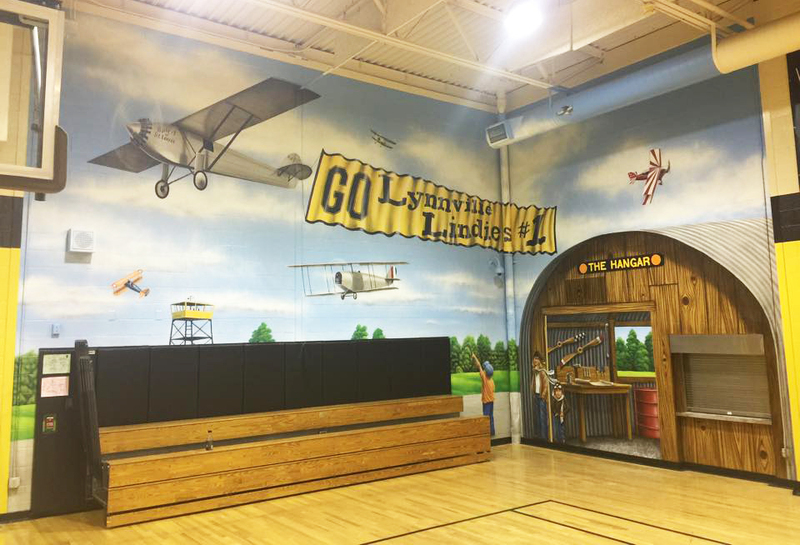 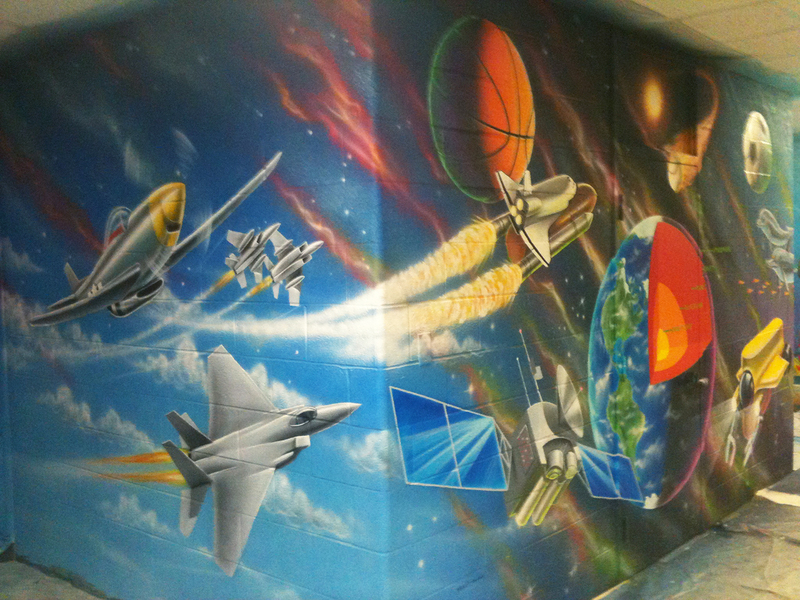 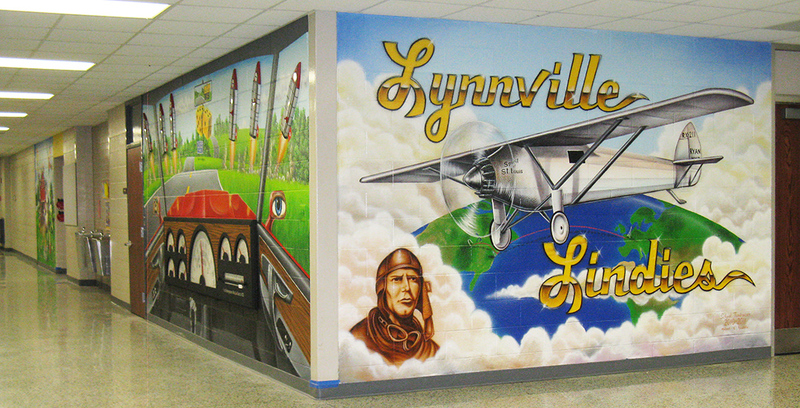 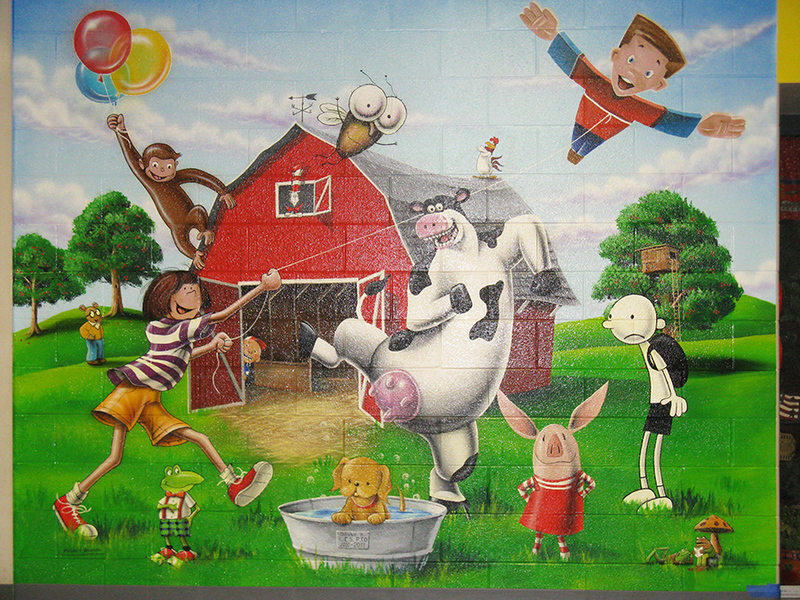 These murals were done individually over several years. 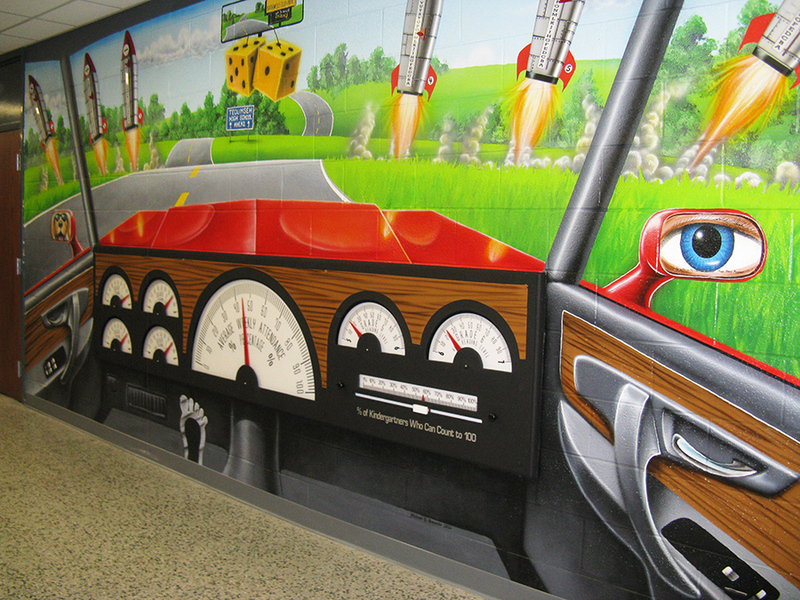 Take note of the Data Dashboard that was custom built by Orange Moon Art Studio, and installed around our painted murals. 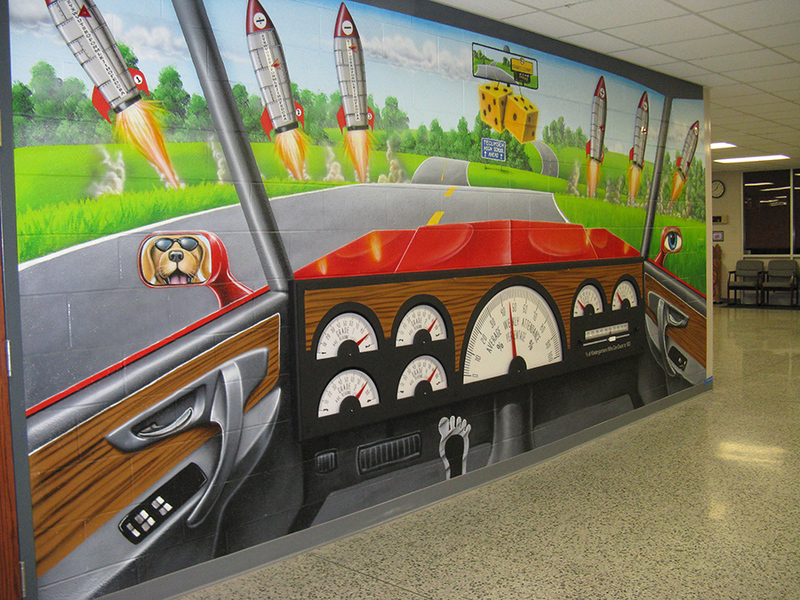 This dashboard displays pertinent grade level information like reading levels, math scores and more to boost kids desire to learn and see their progress.